Eufros - Tallow or Veggie? I acquired a tub of Eufros in a trade. How can I determine if it's vegetable or tallow? It doesn't say on the label. Tallow has small bits of something, kinda looks like pepper on mashed potatoes. Veg does not. 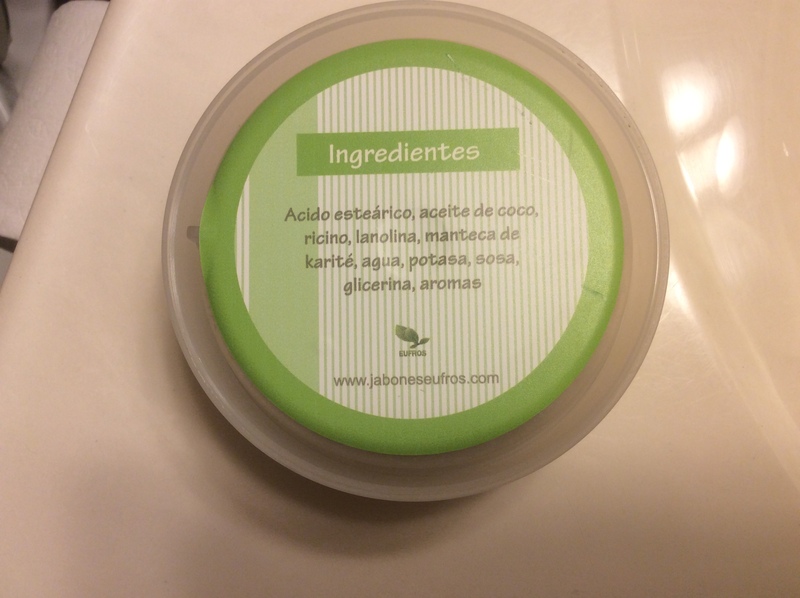 Post a picture of the lid, Manuel usually includes his ingredients list however it is not in English.. Yes. SEBO=tallow and is the second ingredient in the other version. Just guessing, but I have both tallow and veggie in his current labeling. I don't believe he made tallow until after he made his modern labels. Your label is not the current version. Ergo, my guess is veggie. By the way, my veggie Eufros soaps work just as well as my tallow. Which is awesome. Max, that is a veggie-based soap. Manuel clearly indicates his tallow-based soap directly on the labels, now. Definitely a veggie formulation. Above reasons, plus that is a plastic container with a green label. Tallow is metal tin with black labelling. @lloydrm.......the black bits is rhassoul. It is also added to the Premium veggie soaps, but not the standard. Not necessarily. The term “stearic acid” comes from the Greek word στέαρ "stéar,” which means tallow. We need Nikos.a to weigh in here. Stearic acid also can be derived from cocoa butter or shea butter. I have two of his tallow soaps and the ingredients list on the tins reads "acido estearico," then "sebo" -- which is Spanish for tallow -- as two separate ingredients. So I think it's safe to say that a Eufros soap with only "stearic acid" is one of his veggie soaps. I am impressed with your knowledge of Greek etymology however.